We all understand that China dismissed the ruling of the Arbital Tribunal (The Republic of the Philippines v. The People’s Republic of China) and condemned their decision as “illegal”. To better understand why they reacted this way, one has to take a look at the historical context. Simon Chesterfield of the NUS had made interesting observations in his article here. The article provides rich background surrounding the historical relationship with Western powers and gives an understanding on why China (and Asia really), refuses to be aligned with rules and structures of an international character and yet are the ones whom benefits most from the security and economic dividends reaped through them. 2.) The unequal treaties of the 19th century and a failure to recognise the People’s Republic of China for much of the 20th encouraged a perception that international law was primarily an instrument of political power; a view on display most recently in relation to the South China Sea. 3.) The trials that followed the 2nd World War (particular to Japan), left a legacy of suspicion that international criminal law only death selectively with alleged misconduct, leaving unresolved many of the larger political challenges of that conflict with ongoing ramifications today. In rhetorical terms, Asia was circumstantially bullied, exploited, trespassed and occupied by Western powers and their mechanisms of international control. But what does the future look like? Powers are shifting clearly towards Asia. China will not be willing to continue being a “rule-taker”. America’s gradual decline as a dominant power presents a void and nature abhors a vacuum. Asian countries will shape politics to better reflect Asian power, practices and principles. The Asian approach to sovereignty is one that is conservative and non-intervention. This “mind your own business” attitude underpins much of the diplomatic activity observable today. The Asian approach to Western principles such as democracy and human rights, is not one of universality, but rather one that is context/region/cultural/historical/religion specific. When the ruling was passed on the South China Sea, the Chinese saw it as a Western power arbitrarily foisting its own decision upon a sovereign nation, a powerful one no less. According to them, the rule of law and their territorial claims are two different matters. They are willing to talk and respect law, but their territories are non-negotiable. Recently, China had reaffirmed in a white paper its commitment to the UN Convention on the Law of the Sea (UNCLOS), but states that disputes over territories and maritime rights should be resolved through “respecting historical facts and seeking a peaceful solution through negotiation and consultation”. Asian diplomacy is a very difficult thing. Asian culture is one that is very high-context, messages are not meant to be spoken, they need to be inferred. Power, respect, honour and loyalty rank very high on an Asian’s list of priorities. This may explain why some regional conflict prefer to remain the status quo rather than resolution. The other solution to this would be mutual destruction. As to aligning with international bodies and their policies and practices, this can be offensive to an Asian power: who are you to try to tell me what to do? What do you know about the running of my family and my neighbourhood? 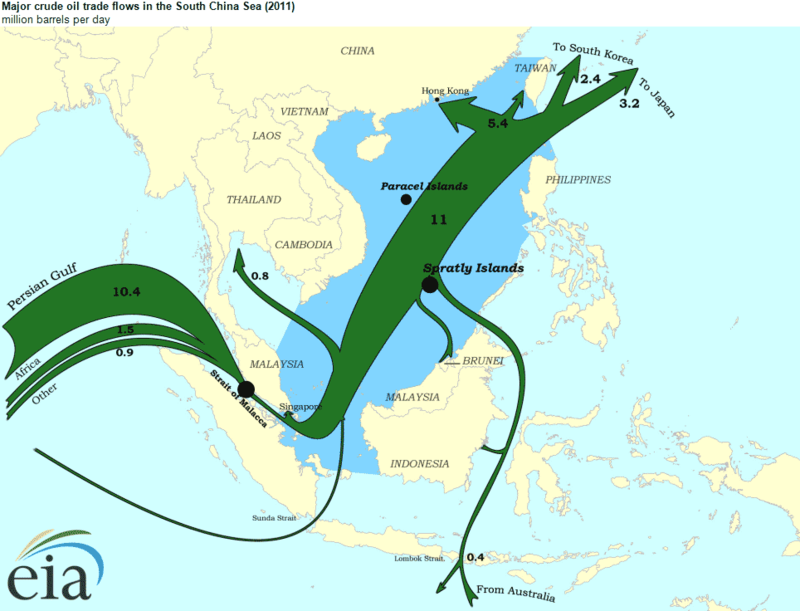 Like many other major, international disagreement in Asia, it looks like the South China Sea disputes will continue to remain the status quo. assistance of the Permanent Court of Arbitration (PCA). The relevant information can be found on the PCA’s website (www.pca-cpa.org). The ICJ, which is a totally distinct institution, has had no involvement in the above mentioned case and, for that reason, there is no information about it on the ICJ’s website. Now that you’ve corrected the article (from ICJ to “Arbital Tribunal” ), the next question one needs to clarify is what Jurisdiction does this “Arbital Tribunal” actually have in this South China Sea matter ? For the record , this “Arbital Tribunal” is neither part of the United Nation , nor is it sanctioned by the UN . Perhaps to use the word “jurisdiction” in the case of international arbitration would be to stretch the meaning. To say that a court has jurisdiction, would be to say that it has legal power and (arguably), no court has legal power over a sovereign country. Perhaps the better way to view this arbitration is that of an accepted form of decision making, a way to give due process (and hence the rule of law) a chance to work. By disregarding the tribunal’s decision, China might as well be saying it is disregarding the rule of law. The tribunal may have no jurisdiction, but the process of arbitration is just as important as the outcome.